A lonely video editor, an action figure with a mind of its own and a ninety-two year old typewriter. Adam and the Bird are back in this sequel to "Rendering..."
In a darkened studio apartment, a man is found flat on the floor. Dead, dying, or just a trick, he's got to be awakened somehow. A pepperoni pizza becomes the last resort in a withering relationship. Heartbreak in Times Square, coffee all over a white dress-- Jeanne really hates New York. "Rendering..." chronicles the loneliness of a video editor as he works deep into the night. The story of a rude awakening and the one thing that can make it better. "Let the Wookie Win" is my first live action film. Rick and Sally can’t wait to go to New York Comic Con, but when Rick’s limited edition Lightsaber is stolen by a rival nerd, their trip takes a turn for the worst. “Wookie" was shot on location at New York Comic Con in 2012 and would not have been possible without the help of my truly amazing cast who took it upon themselves to be far more than just actors. Starring: Nikolas Long, Crissy Milazzo, Bassam Kaado, Russel Dolan, Marlon Dunn and Vincent Cason. A young man spirals through the five stages of grief after the untimely demise of his pet goldfish. "Night of the Living Wage" is a music video we made for Virginia based Folk Punk band, Pedals On Our Pirate Ships. 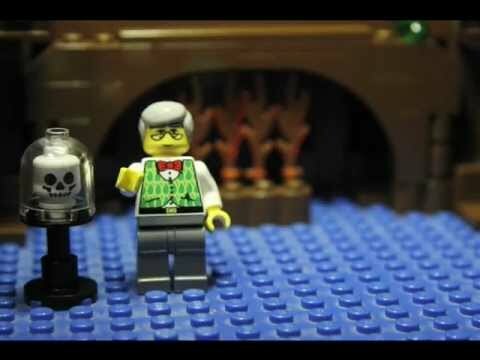 We strongly believe in the song’s message and brought it to life in the only way we knew how… with LEGO Zombies. "A Grand Old Mime" is an experiment in animation, movement and editing. I spent a few days developing a custom “old-timey" filter for a friend’s film and wanted an excuse to use it myself. WINNER of the 2012 New Lens Film Festival, “BRAINS! A Bromance” follows the story of Steve, a lonely young man who befriends a Zombie, (who hasn’t thought about what that would be like?) named Brian. Together they learn that friendship can last a lifetime… or two. Features music from: Elliott Smith, The Rapture, Trocadero, Gorrilaz, ELO, Modest Mouse, Grandaddy, JEFF the Brotherhood and The Thermals. "You've seen the tapes... You know what happened...."
A stop-motion video shoot goes horribly wrong. (Slightly) inspired by real events. "Spooky Stories" host, Sir Professor David Churchill, takes you inside the home of the East Coasts' only Vampire, Nigel. 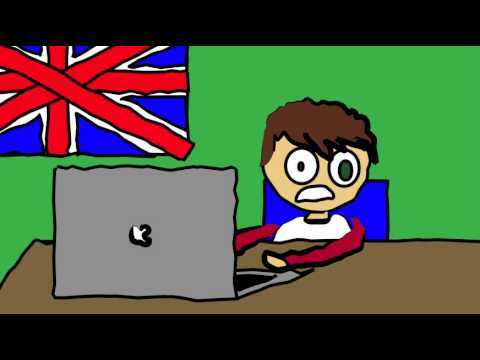 An animation about having no clue what to animate. This “Public Service Announcement” was whipped up for my video editing class to prove I knew how to edit. Please, to enjoy! And remember never to judge a book by its cover, or a hideous monster by its hideous face. Featured music: Blur - Far Out. This music video was a Valentine’s Day gift for my girlfriend Monica. It combines all the best elements of LEGO and Canadian Indie Rock. Islands are Forever. Featured music: Islands - Jogging Gorgeous Summer.